Whether accurate or not, I attribute my strong immune system to a life-long appetite for citrus of any ilk, including an occasional piece of peel. The vitamins! The enzymes! The antioxidants! The fiber! My theory is that chewing a whole kumquat is such an extreme sour rush that your body thinks it is facing extinction and mobilizes its defenses. I no longer eat the white bread of the citrus world, navel oranges, because they are one-note bores and mindlessly sweet. There are so many completely different varieties currently in season at supermarkets and at Asian markets in Boulder County and Broomfield. Valencia: Everybody knows the taste of Valencia oranges but very few of us buy the fruit itself. Valencias are the ugly, thin-skinned ones that are used to make most of the orange juice consumed in the U.S. Eating one out of hand is a tart, mouth-filling juicy experience not to be missed. 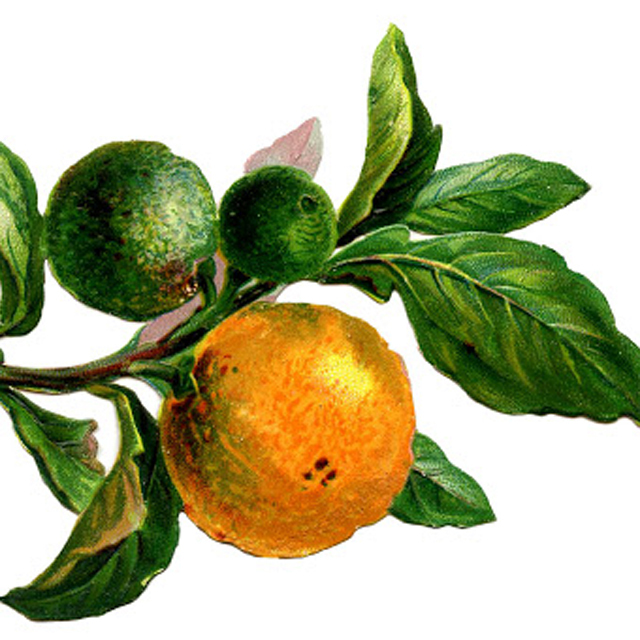 The catch: Valencias are pretty pithy and have a few seeds. Like bone-in steaks, seed-y citrus has more flavor. You kids are so spoiled. When I was a boy everything had seeds in it… even the peanut butter. We spent a lot of time in seed-spitting contests because video games hadn’t been invented yet. Cara Cara: I love Cara Caras, a Venezuelan hybrid with a bright orange peel that is pink-orange inside with a really appealing semi-sweet flavor. Once you taste one you will never navel-gaze again. Satsuma: Satsuma tangerines come in various sizes and varieties but I love the ones that are a little larger, with a pull-off skin, sometimes the leaf still attached. They are super-juicy with a great tart-sweet balance. Other smaller, thin-skinned satsumas are also sweet. Those are the “mandarins” that often get canned. Blood orange: Sometimes things really need to be renamed, like Cuties, dogfish and blood oranges. The latter name fits because the flesh of this orange is deep red to purple. They are typically extra-juicy with a fine sweet-tart balance. Some say the blood orange has berry nuances. To me it is more reminiscent of vintage grape Kool-ade or Nehi soda. Boulder Beer has produced an India Pale Ale flavored with blood orange juice. Sumo: Sumos are the hot stars of the citrus world right now — a big, easy-to-peel fruit with a distinctive bump on the top. This seedless tangerine is both very sweet and extremely tart with a lot going on flavor-wise that make them highly craveable. Sumos are typically pricier and often easier to find at natural foods markets and at Asian supermarkets like H-Mart. Meyer lemon: The Meyer lemon is an egg yolk-hued fruit that’s a little rounder than a regular lemon with thin, aromatic and slightly orange skin. They are a little sweeter and less acidic than standard supermarket lemons and great to cook with. Pastry chefs like using their juice. Key lime: Key limes are smaller, yellower, seeded and thin-skinned compared to standard Persian limes, but smell “lime-ier” and produce the great juice and zest that make the iconic pie such a flavor treat. Key lime zest (along with zest from other citrus) is among the seven wonders of the flavor world. Don’t waste it! Kumquat: Not technically a citrus fruit, kumquats are definitely the coolest relative. The small oval-shaped orange fruit is unique in that the peel is much sweeter than the fruit. Some risk-takers eat them whole and raw, but many kumquats are cooked or candied. After discovering 20 big kumquats in the marked-down produce bin recently, I made my first pucker-producing batch of kumquat marmalade. I have never tasted a kumquat meringue pie but hope springs eternal. Monday, Jan. 23, is National Pie Day, the only national holiday that originated in Boulder. It was founded by Boulder’s homebrew and craft brew guru, Charlie Papazian. Celebrate the day by baking a pie and sharing it with people you love. …Forget the Oscars, Grammys and Tonys. Focus on the Scovies and the fact that Burns and McCoy in Fort Collins took first place in the annual Chile Pepper Awards for its Reaper Verde hot sauce made with roasted serrano, jalapeño, green habanero, cayenne and Carolina Reaper chilies. … Opening soon in Lafayette: Chocolaterie Stam, 103 S. Public Road. … Plan ahead: The Boulder County Farmers Market opens April 1 in Boulder and Longmont. Upcoming foodie gatherings: Cochon 555, March 19, Denver. cochon555.com/2017-tour/denver; Denver Grilled Cheese Festival, April 12, Denver. denvergrilledcheesefest.com; Slow Food Nations, July 14-17, Denver. slowfoodnations.org. One thing I can cook are great soups, so I seldom buy canned, dry, frozen or pre-made soup, stew or chowder. I made an exception to sample Boulder Organic Green Chile Corn Chowder. I’m always dubious of the many foods that plaster “Boulder” on their labels and prepared to be underwhelmed by a processed taste. Instead, this soup tastes like something I would make with sweet corn balanced by a good roasted chile presence without excessive heat. Sold refrigerated at local supermarkets, the Boulder-made chowder is made with organic corn, potatoes, roasted green chilies and onions with chicken broth, olive oil and no preservatives. I will admit that I added pulled turkey, black pepper and extra sharp cheddar for my second bowl. John Lehndorff was the founding Executive Director of the original American Pie Council in Boulder. He hosts Radio Nibbles at 8:25 a.m. Thursdays on KGNU (88.5 FM, 1390 FM, kgnu.org). Tags: Boulder, National Pie Day, pie. Bookmark the permalink.